It’s that time of year again. 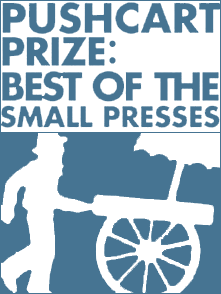 I should be receiving the new Pushcart Prize anthology in about one week, and shortly thereafter I’ll be able to post the updated literary magazine rankings. As followers of the rankings know, I use the prizes and special mentions received by magazines over a ten-year period to calculate ratings that I then turn into a list of magazines in each of three genres: fiction, nonfiction, and poetry. The purpose of ranking magazines in this way is to help writers determine where to submit work. I’ve been doing this for over ten years, and constantly hear from people that they find the rankings very useful. If you aren’t familiar with the rankings, check out the 2017 lists here.